Disco Deviant: New release from The Reflex + Bank Holiday Special news! New release from The Reflex + Bank Holiday Special news! September / Jungle Boogie finally arrived on digital last Friday 25th - And his much anticipated PYT revision will be included in The Reflex - Million Sellers Vol.2 in a few weeks too! 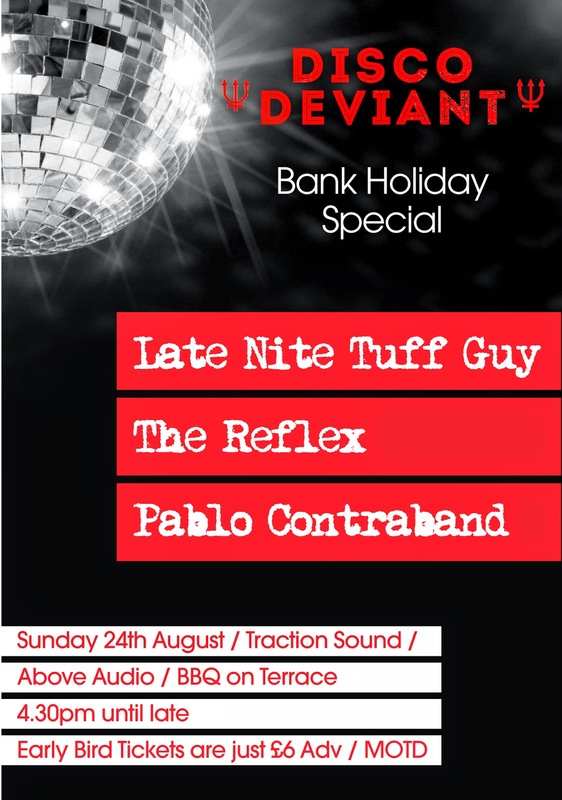 You can catch The Reflex alongside, Late Nite Tuff Guy & Pablo Contraband in Brighton on Sun 24th Aug for Disco Deviant's bank holiday special.